One of the smallest knives hand-forged by Lon Humphrey is his Custom Whitetail. It’s compact enough to carry comfortably in a pocket sheath, but it’s also incredibly versatile. It works great for EDC, or as a hiker or light hunter, or as a companion to a larger blade. 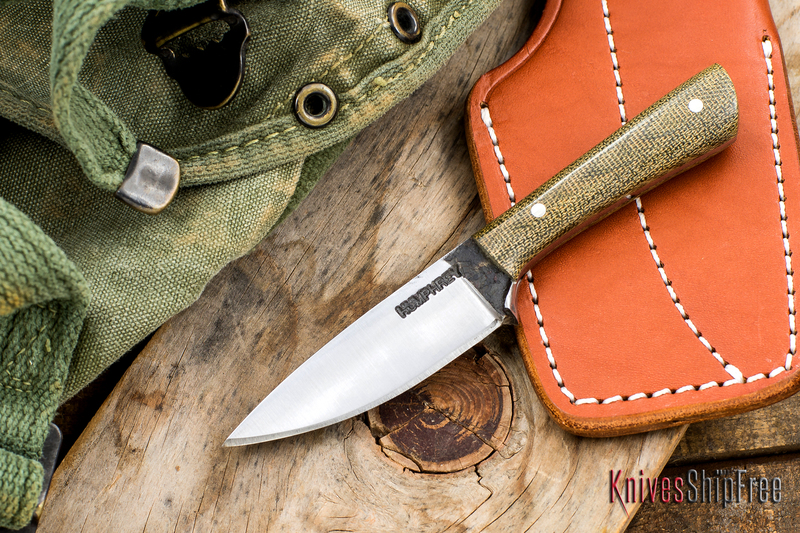 This particular Whitetail is handled in OD green Micarta. This entry was posted in Customs, EDC, Hunting, Lon Humphrey Custom Knives and tagged EDC, Leather, Micarta. Bookmark the permalink.